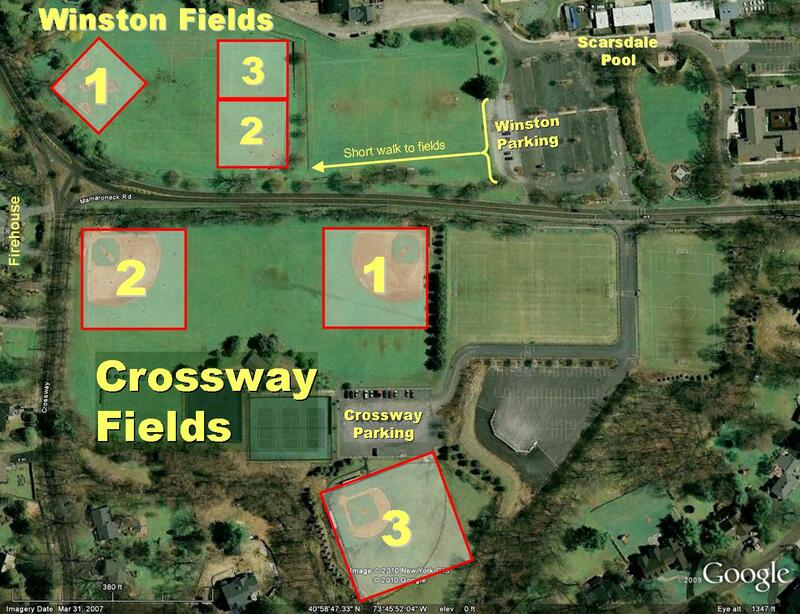 Crossway 1 is the larger field most adjacent to the parking lot and on Mamaroneck Road. Crossway 2 is the larger field far from the parking lot and across the street from the firehouse on the corner of Crossway Rd & Mamaroneck Road. 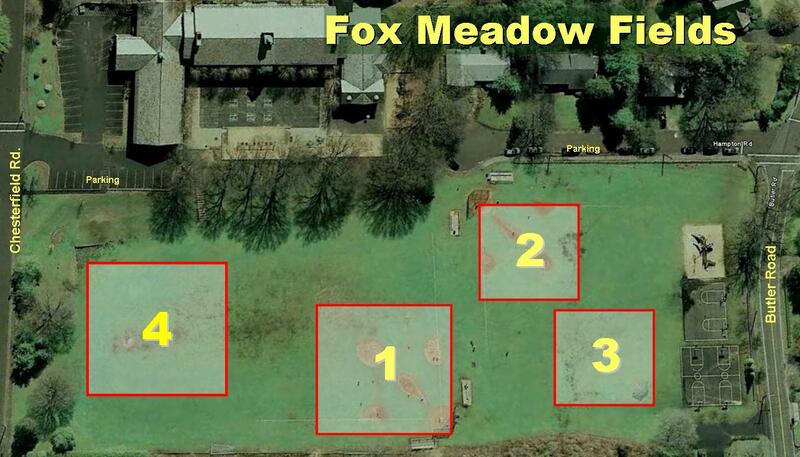 Crossway 3 is the Little League field next to the tennis courts. 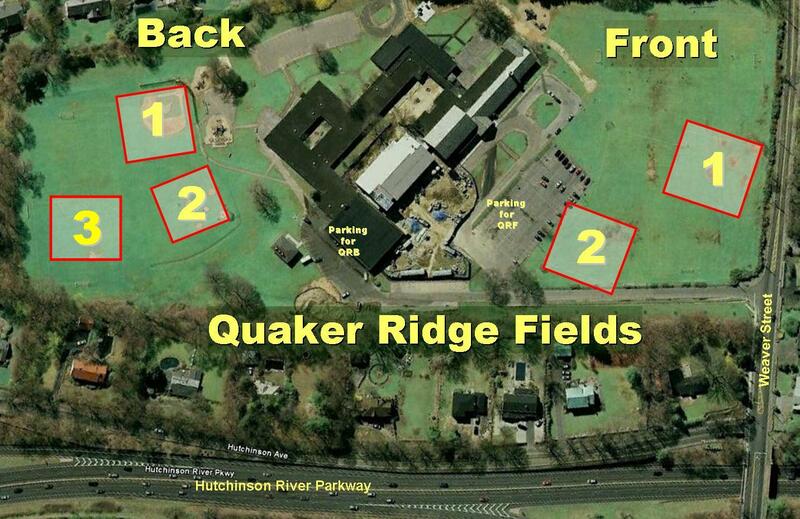 Head West on Mamaroneck Road and at the first traffic light, turn left between soccer fields. Road will weave around soccer field (and overflow parking) to main parking lot in the back near tennis courts. 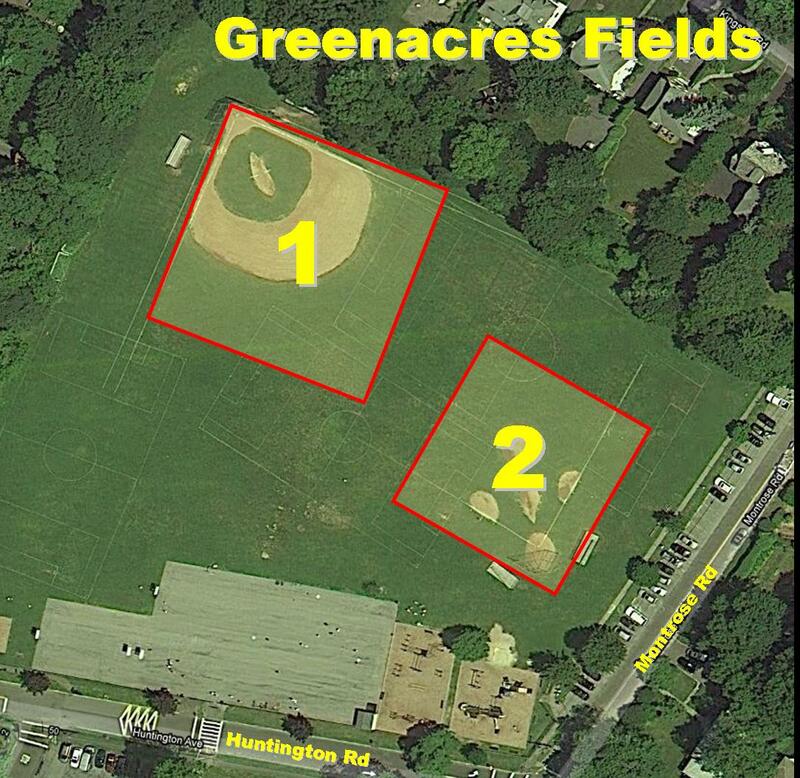 There is no street parking for either Crossway field. 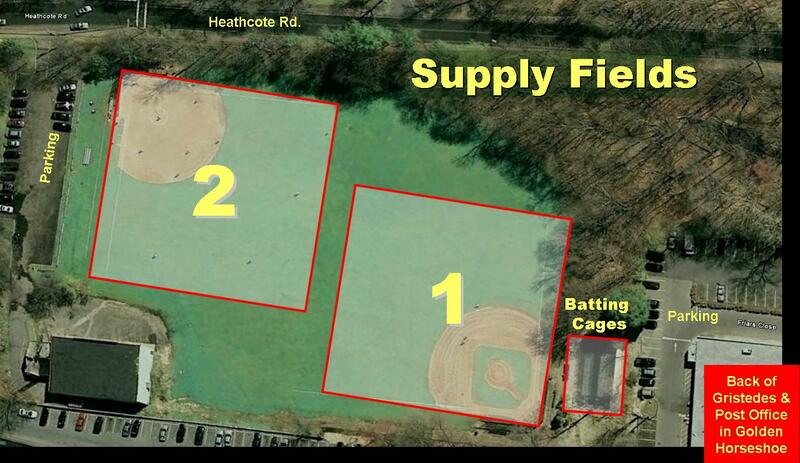 The Crossway 3 cages are over the left field fence of the Crossway 3 Field. Turn left onto Popham Road. At light, (Post Road) turn right. At the first traffic light, (Grand Boulevard) make a right. Go down one block and Hyatt Field is on the right.